Rene’s philosophy and approach in business caters to the fulfillment of his client’s individual real estate needs. 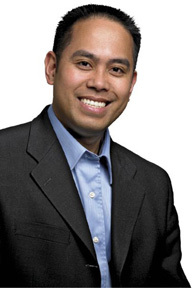 Whether it is Selling or Buying, Rene is committed to exceeding his client’s expectations. He has continually refined his business to be efficient, informative and comfortable for his clients. Placing the client’s interests above everything else, Rene has earned countless loyal clients over the years and he has been recognized by his peers, clients and the industry as someone to trust. Are you looking for Something? Use the find panel on the top right hand corner. The enclosed information, while deemed to be correct, is not guaranteed. All information including floor plans, floor plates, sales history, strata plans, maps & suite numbers are gathered from many different sources and are deemed to be accurate as possible but not guaranteed. The Webmaster / REMAX Crest Realty (Westside-Beach) & RE/MAX Crest Realty (Westside-Macdonald) / Les Twarog are not held liable for any errors or omissions in this info sheet. The reader of this material to verify the accuracy of the content. Click here for full disclaimer.